With under a month to go until Good Things Festival rocks the East Coast, timetables and support acts have been announced for each day. Local band Stuck Out will join the festival in Melbourne following a busy two years supporting acts such as Real Friends and The Getaway Plan. With their new EP You Won’t Come Home having released earlier this year, the five-piece band will be looking to finish off the year with a blast. Sydney will be joined by Redhook, who recently released new single Turn Up The Stereotype and will undoubtedly be looking to let it loose for Sydney festival goers with their screaming rap-rock electro-pop mix smashing through genre barriers. Last but certainly not least, Brisbane will welcome alternative-rock outfit Stateside, who released their second EP Naïve last year and have been supporting international bands such as Simple Plan, The Wonder Years and Knuckle Puck over the last year. 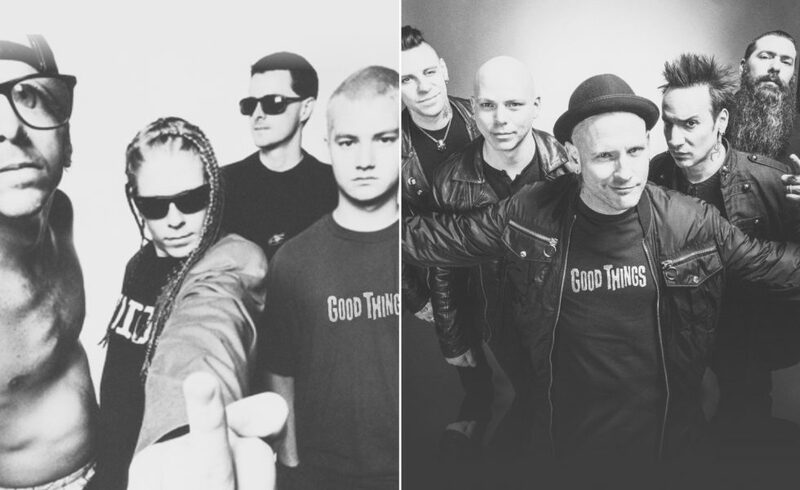 All three local acts will kickstart their respective festivals on stage two beginning midday with a bunch of must-see bands joining them throughout the day across four stages before The Offspring finish things off on stage one. 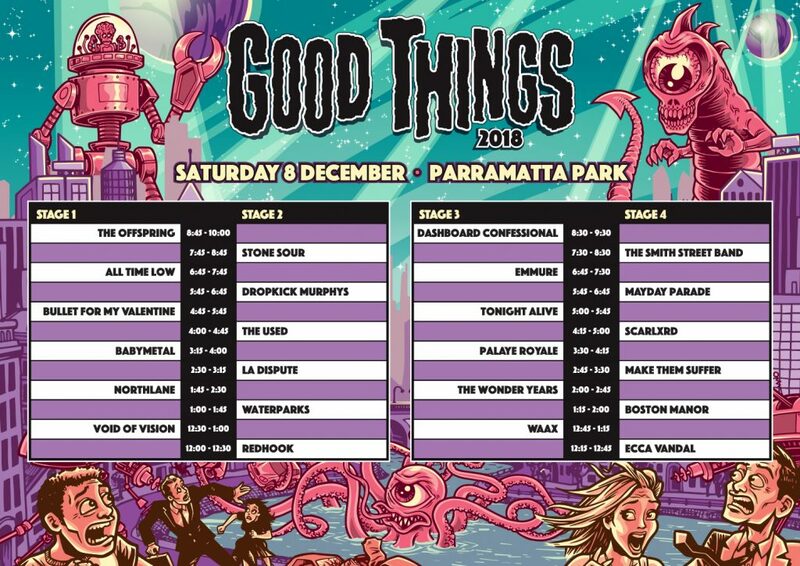 All playing times can be found on the Good Things Festival website. With anticipation rising and the urge to rock out mounting, it’s time to plan your day to avoid missing out on any bands. Good Things will kick off at Melbourne’s Flemington Racecourse on Friday 7th December before hitting Sydney on Saturday 8th and wrapping things up in Brisbane on Sunday 9th.